Gerai Dinar - English Version: Three Choices for Your Dinar…. To answer the question and meeting the demand of the public that is familiar to the Dinar, Gerai Dinar is improving its service so that the public can choose - what to do with the Dinar they own. In principle, there are three choices now, the first and earliest service is for the public to purchase Dinar at Gerai Dinar and then keep it themselves. The advantage is that the owner keep the Dinar themselves so they can feel more comfortable. Another advantage is the Dinar can be used anytime. The disadvantage is that the owner must think about a safe storage themselves. Another example is that for residents of small cities in Indonesia – most probable is that they cannot have the Dinar because of delivery problems. The Second service is the service that we give informally so far for those who ask for us to help with the storage of their Dinar. Because is involves storage responsibility, syariah insurance protection and safe deposit box fee, we are formalizing the service. The implication is that the people that use the storage service for their Dinar is asked to contribute on the cost, currently 0.5% of the value of the Dinar stored. The main cost for is the insurance cost, ranging 60% - 80% of the total storage cost. The benefit of this protected storage service is that your Dinar is safe and can still be used/ redeemed anytime needed. The disadvantage is that you pay extra fee of 0.5% of your Dinar value annually. The third service is that your Dinar is loaned for trading ( Qirad) to Gerai Dinar, explained in my article on 29/02/2008 and on 9/03/2008. The advantage of this program is that your Dinar is productive and grows the Halal way because it is through a real trading. The growth will InsyaAllah always more than enough to cover the storage cost, insurance, etc. The other advantage of this service is that it can be the solution for those who is starting to migrate to Dinar but are worried to excessively store the Dinar because it can be categorize as hoarding - which is prohibited in Islam, by Qirad, it will be safer (from hoarding) because the Dinar will be a real trading commodity or investment in the form of productive wealth. The disadvantage is Dinar that is loaned for trading/Qirad cannot be redeemed anytime, if the owner wants to redeem before expiry date according to the Qirad agreement – then the owner need to wait around one month before they can have their Dinar back. This is because the Dinar that was Qirad is on circulation or in the process of reprinting. So with the plus – minus of each of the choices; people can choose which is most appropriate for their Dinar. 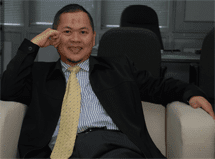 Whichever they choose, InsyaAllah it will be a non losing trade – tijarotan lan tabuur – amin.